Exactly what is a solitaire ring is actually an easy question to answer. 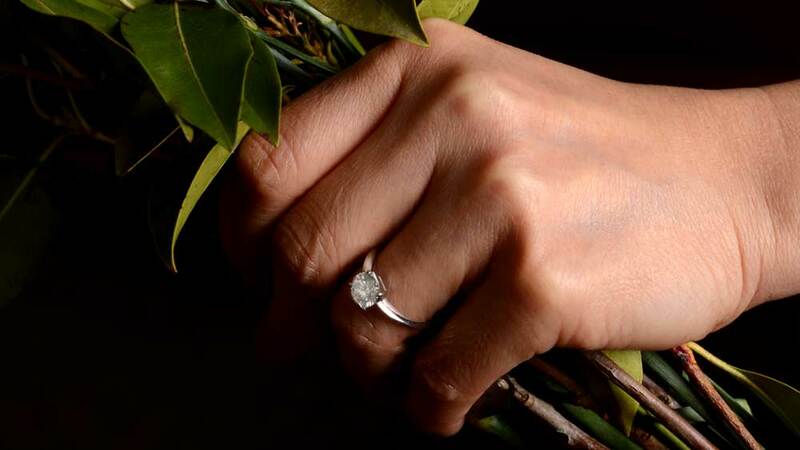 In its simplest terms, a solitaire ring is any ring which has but a single stone in the setting. Although today we associate the name overwhelmingly with diamond rings, it can apply to any stone. Solitaire rings have been around for as long as rings have existed. In Ancient Rome, diamonds were popular when put into gold bands. It was highly unusual for any ring to contain more than one stone. Although the type of setting developed over the intervening millennia, solitaire diamond rings suddenly hit the headlines in the 1940s. Following the Great Depression and WW2, a desperately troubled diamond trade needed a boost. 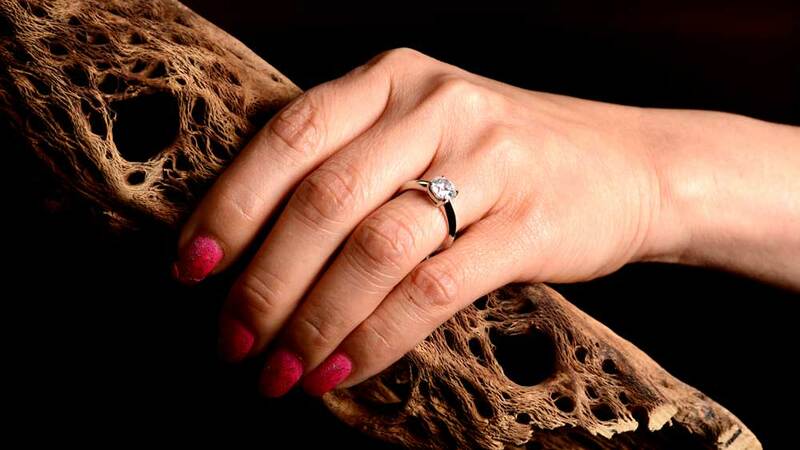 Producers De Beers then made a decision that would change the face of diamond rings forever. In 1948, De Beers had almost total control of the diamond-market and decided they needed to use this power to boost diamond sales amongst the middle classes of America. Previously, buying diamonds was a practice which was the domain of the rich, who had less money to spend on trinkets. As a result, De Beers suddenly found themselves with a glut of smaller diamonds available thanks to more efficient extraction techniques. Ad agency N.W. Ayer in Philadelphia received a commission to produce a campaign to increase sales. The 4 words the team at Ayer came up with made sure diamonds would dominate the engagement ring market from that point. Suddenly, everywhere people looked, the message was that “A Diamond Is Forever”. 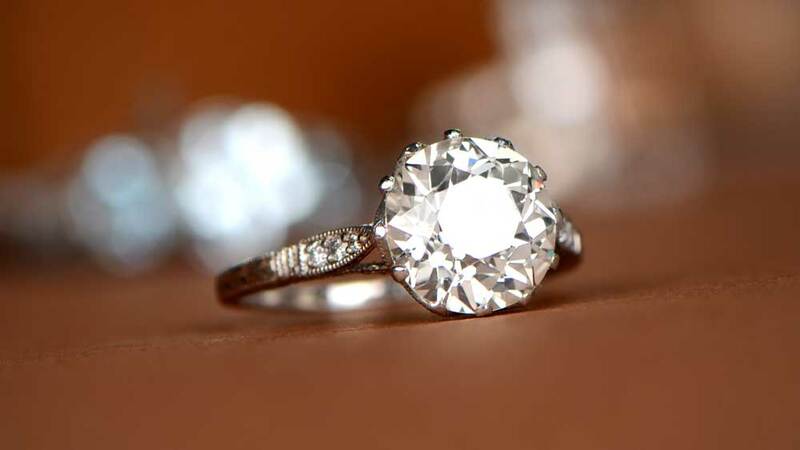 Sales boomed, especially of solitaire engagement rings, and the rest is history. When Does A Setting Stop Being A Solitaire? As we’ve said, a solitaire setting is one that has just a single stone. But we often see rings described as solitaire which has other stones on them. So who is right? Traditionally, a solitaire ring would have a single stone set into a band. As time has gone on, it has become accepted that the definition of solitaire only applies to the setting itself, and not to the overall design. For example, you can have a solitaire ring which has a single center diamond but which also has other stones on the shoulders or into the band. The test would probably be that if you put the main setting through a small hole, can you see anything other than a single diamond? If not, it’s a solitaire ring. If you can, then whatever it is it’s not a solitaire setting. Tiffany & Co. are a household name in jewelry and fine goods of all kinds. The Tiffany Setting is actually a solitaire diamond setting which long pre-dates the De Beers ad campaign mentioned above. In 1886, Charles Lewis Tiffany decided he’d had seen enough precious stones being used to show off an elaborate and over-complicated ring setting. Instead, he wanted something which would make the stone the star of the show. After all, what was the point of sourcing the world’s finest diamonds if half of each one was hidden when set? 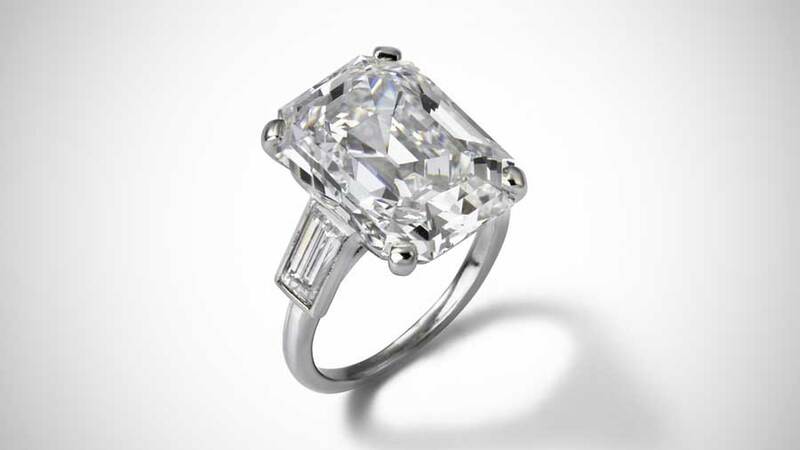 Tiffany came up with a 6-prong setting which seated the diamond much higher than previously done. This helped to maximize the sparkle of the diamond and used a lot less metal than traditional settings had done. The idea was to make the diamond appear larger than it actually was and to make it look like it was floating above the band. 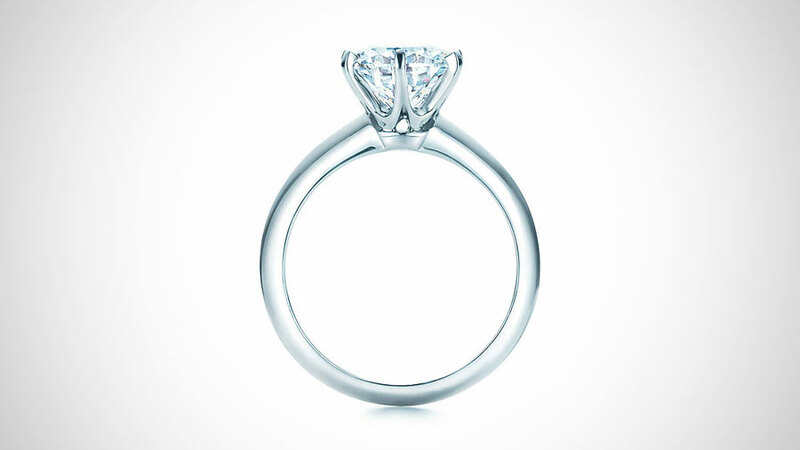 Only the culet of the diamond remains hidden in a Tiffany setting. So successful was Charles Tiffany’s new setting that it soon became heavily copied. Tiffany themselves had to release statements warning of inferior imitations, and to only buy directly from Tiffany & Co. As a combination of security and presentation, it may be over 130 years old, but nothing has ever bettered the Tiffany Setting for a solitaire diamond ring. Jewelry designs, like almost anything else today, are part of the fashion industry. The various art periods such as Art Nouveau and Art Deco heavily influenced jewelry design, and their influences are still in evidence today. Indeed, the solitaire setting is one of the few designs which has ridden the tide of fashion. That it has remained a constant for over a hundred years or more is remarkable. It is true that the Tiffany Setting has helped that, as has the De Beers ad campaign, but there’s more to it. 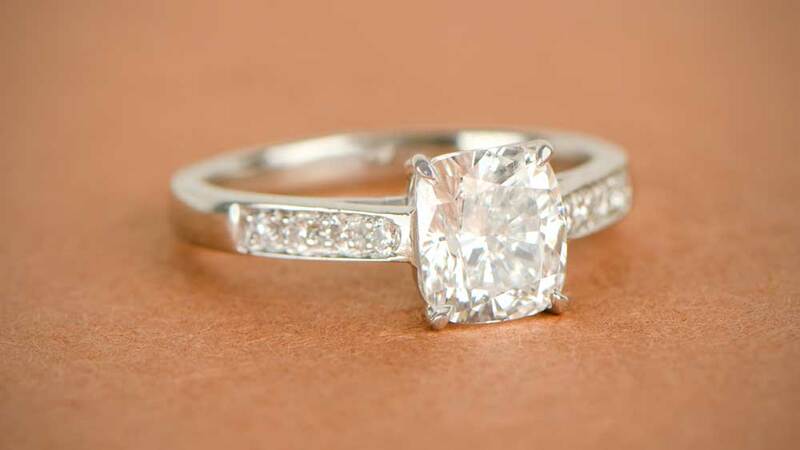 The solitaire engagement ring is timeless. It has a classic quality to it which has rarely been matched, let alone bettered. It is probably not an exaggeration to say that we’ll probably still be talking about solitaire rings in another 100 years. Most of the famous rings are solitaires. The reason is actually rather simple. Famous rings will usually have very important diamonds and important diamonds won’t need any supporting casts. If a famous ring does have accenting diamonds or designs, it will usually be rather simple. The Queen of England was presented with a 3 carat, bezel set, diamond solitaire by Prince Philip. Although the ring does have smaller diamonds also, it is wonderfully subtle, as far as diamond rings go. It is also one of the very few pieces which the Queen wears on a daily basis. The center diamond is an old European cut and the diamonds on the shoulders are antique as well. Princess Grace, as she became, was actually given two engagement rings by Prince Rainier of Monaco. The first was a quite modest affair, which Rainier decided was inappropriate after seeing the rings sported by Grace’s actor contemporaries. The second ring was a stunning 10-carat ring that had a baguette diamond on each shoulder. What the first ring lacked, the second certainly made up for! Farrow’s marriage to Frank Sinatra might only have lasted 2 years, but it left a magnificent engagement ring as its legacy. 9 carats, and cut as a pear shape, the ring quickly became an iconic presence in the engagement ring world. 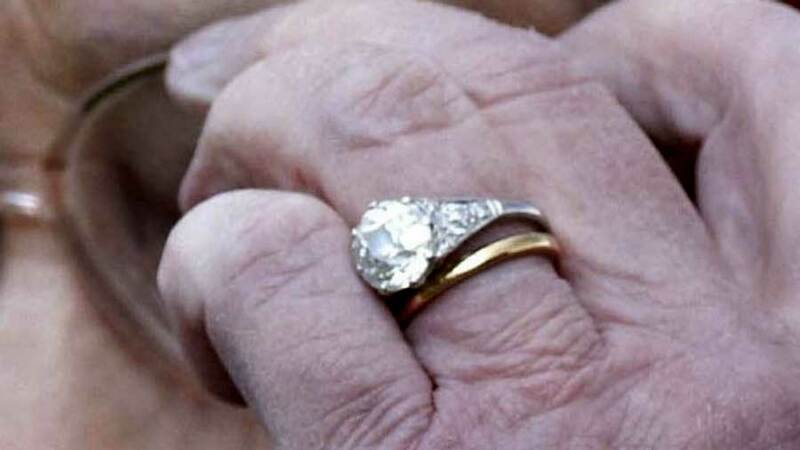 Let’s face it, nobody collected engagement rings like Liz! Nothing, though, comes close to the 33ct Krupp Diamond ring giver to her by Richard Burton. 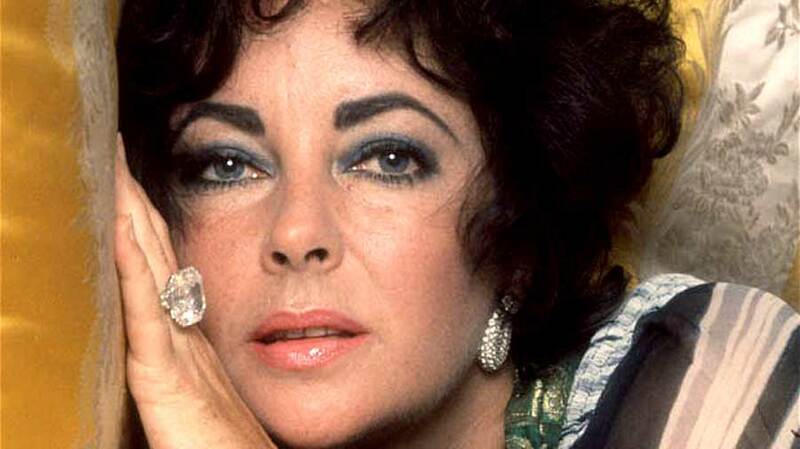 Asscher cut and graded as D color and VS1 clarity, the diamond became so synonymous with Taylor, that it is now called the Elizabeth Taylor Diamond. Estate Diamond Jewelry has been collecting rare engagement rings for over 35 years. Feel free to browse our collections of stunning solitaire engagement rings. We’ve selected an example from our collection of different styles of solitaire rings.